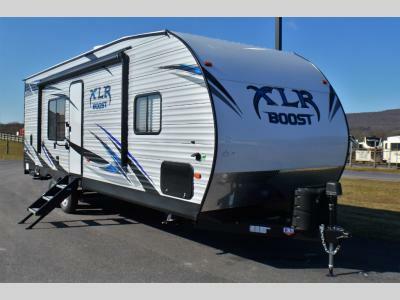 If you are looking for a master suite, a dual-entry bath, and 14' 6" of toy cargo space, then step inside this Forest River XLR Boost toy hauler. 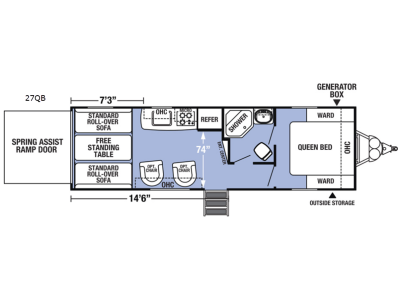 The front master suite provides a relaxing space where you will find a queen-size bed and two bedside wardrobes. 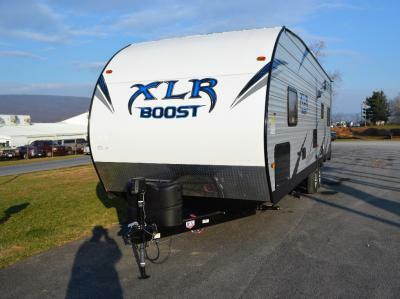 In the very back of this XLR Boost, you can use the spring assist ramp door to easily load and unload your toys. The two standard roll-over sofas can then be set up for relaxing, dining, and even sleeping at night. 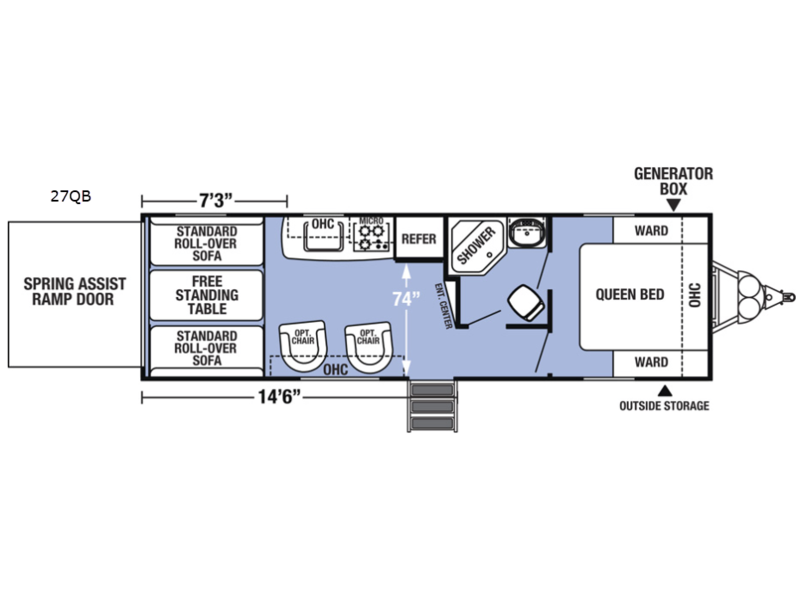 The free-standing table is great for eating dinner together as a family, and you will find the exterior storage compartment near the front very convenient.